SAN FRANCISCO, Feb. 13, 2017 /PRNewswire/ — Metallica today announced their WorldWired 2017 North American tour in support of their new album Hardwired… To Self-Destruct. The WorldWired 2017 tour is produced by Live Nation and kicks off on May 10th in Baltimore, MD at M&T Bank Stadium. The tour will crisscross its way across North America into the summer, marking the Rock and Roll Hall of Fame inductees and Grammy® Award winning band’s first proper North American tour since 2009. Avenged Sevenfold and Volbeat will be the main support acts for the tour run. See below for a list of all confirmed dates. Citi is the official credit card of the WorldWired 2017 North American Tour. Citi cardmembers can take advantage of a special presale opportunity for all show dates in the U.S. beginning on Tuesday, February 14th at 11:00 AM local time. For additional details, visit www.citiprivatepass.com. Metallica has partnered with CID Entertainment to offer four options of special enhanced experiences on this tour, including premium tickets and amenities, including: early access to the venue, a visit to the ‘Memory Remains’ exhibit of memorabilia, and meet and greets. For full package details, visit http://www.cidentertainment.com/events/metallica-tour-2017/. Hardwired…To Self-Destruct was released on November 18 on Metallica’s own Blackened Recordings record label and debuted at No. 1 around the world, selling over 800,000 copies worldwide in its first week. The album was produced by Greg Fidelman with James Hetfield and Lars Ulrich, and is available in various configurations at www.metallica.com. Praise for Hardwired…To Self-Destruct includes: The New York Times: “Metallica has embraced its adulthood, reclaiming the attack of its music while jettisoning the image of a hard-rock band as young, fast and out of control;” Rolling Stone: “Metallica’s ‘Hardwired’ shreds back to vintage eighties terror;” Decibel: “Metallica balances legacy, longevity, and longitude with Hardwired…To Self-Destruct;” Kerrang! : “This is Metallica galvanized, refreshed, refocused and rediscovering themselves. Best thing they’ve done since The Black album? Yep;” The Guardian: “Metallica have just made their finest record in 25 years;” NME: “Metallica remain both vital and innovative;” San Jose Mercury News: “Metallica has once again delivered an album that echoes and underscores the mood of millions;” and much more. To purchase Hardwired…To Self-Destruct, click HERE. Metallica formed in 1981 by drummer Lars Ulrich and guitarist and vocalist James Hetfield and has become one of the most influential and commercially successful rock bands in history, having sold 110 million albums worldwide while playing to millions of fans on literally all seven continents. They have scored several multi-platinum albums, including 1991′s Metallica (commonly referred to as The Black Album), with sales of nearly 17 million copies in the United States alone, making it the best-selling album in the history of Soundscan. 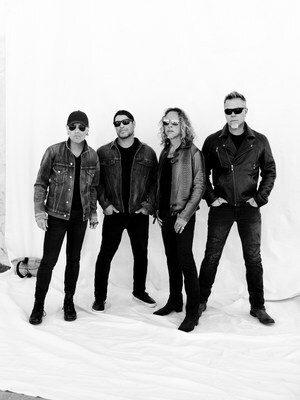 Metallica has also garnered numerous awards and accolades, including nine Grammy Awards, two American Music Awards, and multiple MTV Video Music Awards, and were inducted into the Rock and Roll Hall of Fame and Museum in 2009. In December 2013, Metallica made history when they performed a rare concert in Antarctica, becoming the first act to ever play all seven continents all within a year, and earning themselves a spot in the Guinness Book of World Records. 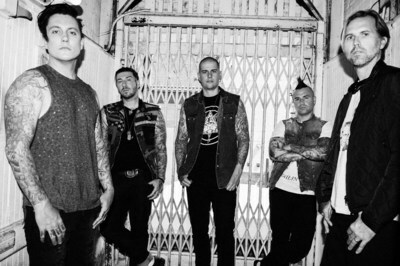 AVENGED SEVENFOLD are touring in support of their critically acclaimed new album THE STAGE, which they released three months ago following a live-streamed performance from the rooftop of the Capitol Records Tower in Hollywood, CA. Led by its title track and a companion video that’s amassed over 13.5 million+ YouTube views, The Stage hit No. 1 on Billboard‘s Rock, Hard Rock and Alternative Albums charts and No. 4 on the Top 200. Rolling Stone praised the album as “the most aggressively bonkers music of the quintet’s career.” Guitar World, who spotlighted the band’s Synyster Gates and Zacky Vengeance with a cover story, lauded the album for being “the most surprising and ambitious album of their career.” The Guardian, Kerrang! and NME each gave it four stars, with the latter calling the album “their best yet,” adding that “they’ve truly arrived.” Q called it the band’s “boldest album yet” and Classic Rock called it “a metal masterpiece.” THE STAGE, available HERE, is the band’s 7th studio album and first for Capitol Records. Co-produced by the band and Joe Barresi (Queens of the Stone Age, Tool), THE STAGE is a work of immense scope and ambition, featuring 11 panoramic tracks tied together by an Artificial Intelligence theme. Inspired by the writings of Carl Sagan and Elon Musk, the album is the band’s first thematic release. The album’s epic 15-minute-plus closing track, “Exist,” features a guest appearance by award-winning astrophysicist Neil deGrasse Tyson giving a spoken word performance he penned specifically for the album. The Southern California-based quintet (vocalist M. Shadows, guitarists Synyster Gates and Zacky Vengeance, bassist Johnny Christ and drummer Brooks Wackerman) have spent the past month touring in support, playing to packed-house arena crowds across the UK, debuting a spectacular new live show (see some of the stunning photos HERE) and drawing rave reviews from fans and media alike. The tour included two nights at London’s 02 Arena, performing to over a quarter-million fans on that leg alone. The Guardian ran a 4-star review of the show in Glasgow, writing, “Underneath retina-scorching screens and giant cosmic cube broadcasting spiraling starfields, the five-piece methodically discharge booming, arena-filling songs that are as hefty as they are heavy, with few clocking in at under five minutes. These industrial assemblages of growing riffs and fret-melting solos have a default minor-key menace, yet the overall atmosphere is surprisingly joyous.” AVENGED SEVENFOLD first achieved worldwide success with a string of best-selling albums — including their 2005 platinum breakthrough City Of Evil, 2007′s Avenged Sevenfold, which topped the Billboard Alternative, Hard, and Rock Charts, and two consecutive No 1′s on Billboard’s Top 200 Albums chart, Nightmare (2010) and Hail To The King (2013). They’ve achieved Diamond, Platinum and Gold awards for album sales in nearly a dozen countries and scored a series of Top 10 singles at multiple formats.